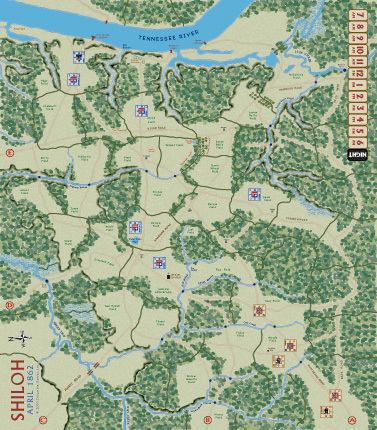 Shiloh was an important American Civil War battle fought in April 1862. A surprise Confederate attack, led by Albert Sydney Johnston, nearly swept encamped Union defenders into the Tennessee River. 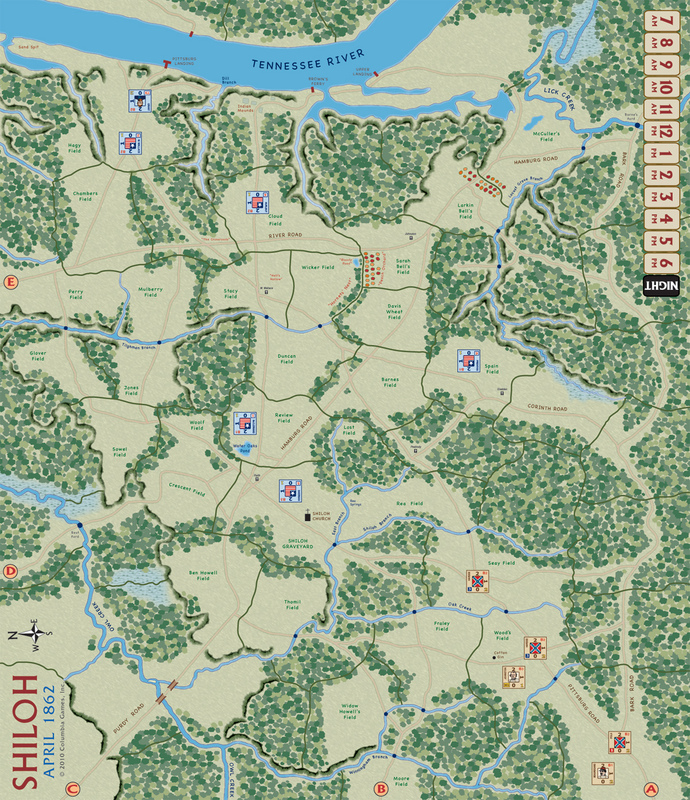 The next day, a reinforced Union army counter-attacked and drove the CSA line back in confusion and retreat. A CSA victory might have ruined the career of General Ulysses S. Grant. Instead, the battle ended with a Union victory, the death of Johnston, and the eventual demise of Confederate hopes in the West. Days 1 and 2 can be played separately or together. Movement and combat are resolved within areas. The game plays using the fast-paced Move-Move-Battle sequence seen in Hammer of the Scots and Julius Caesar. There are no cards involved; players activate leaders to command brigades of the same division or corps. The game plays smoothly and quickly; each player gets to play one day on offense and one day on defense for a great gaming experience. Game time is 2-4 hours for both days of Shiloh.